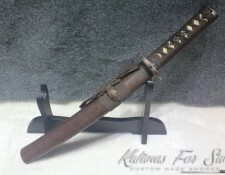 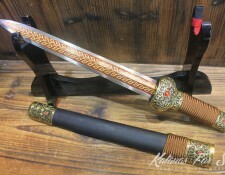 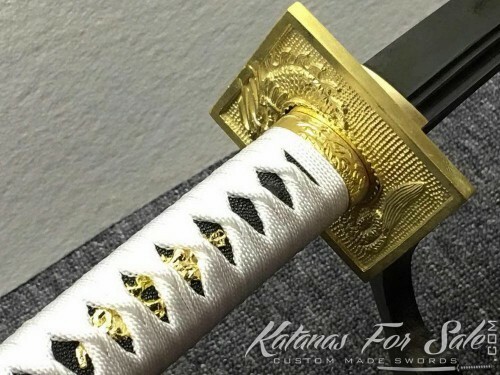 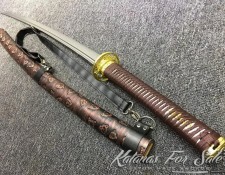 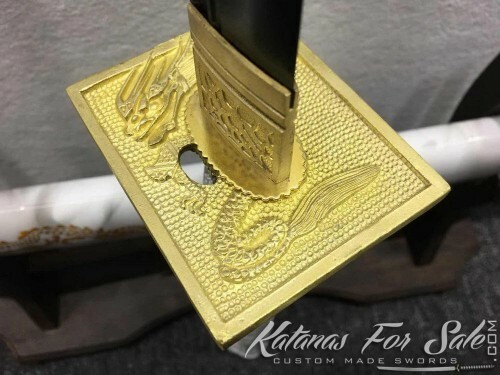 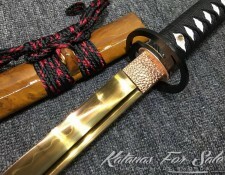 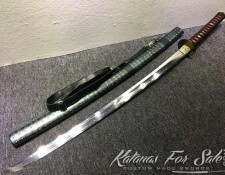 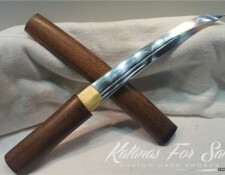 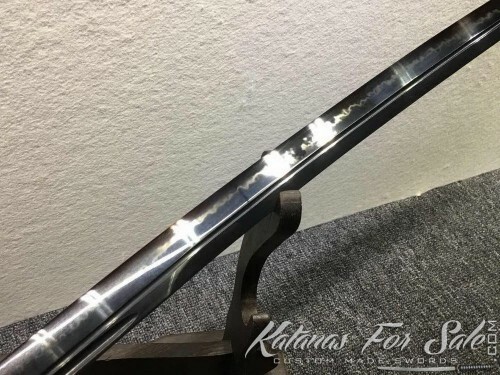 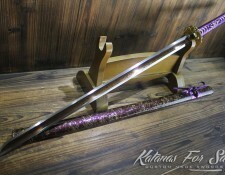 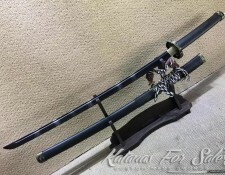 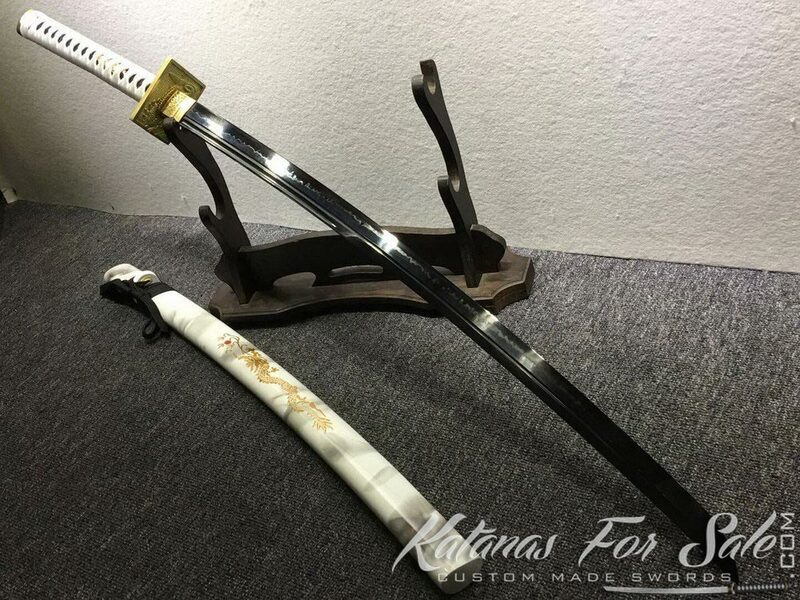 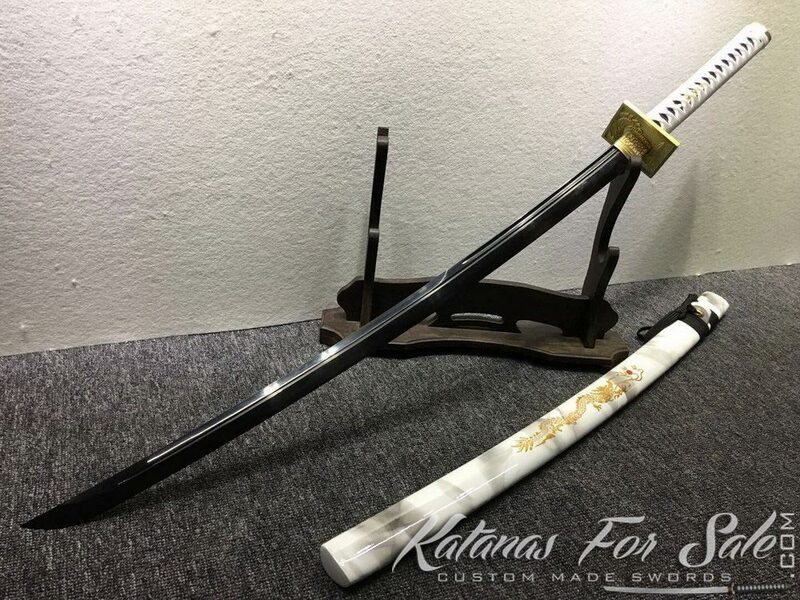 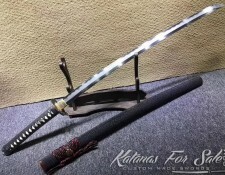 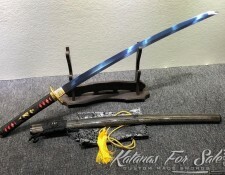 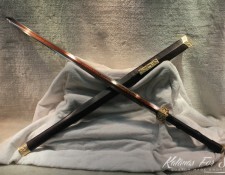 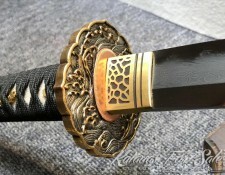 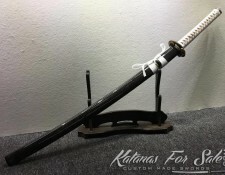 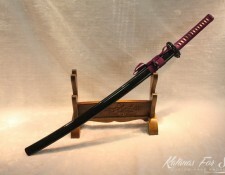 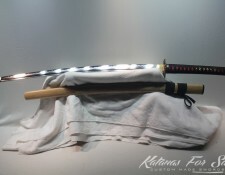 You are looking at a handmade black blade Katana sword made of T10 steel, the blade has been differentially hardened and treated with black acid dye. 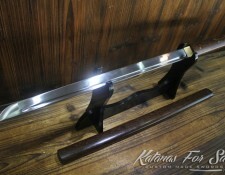 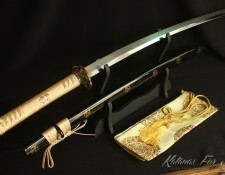 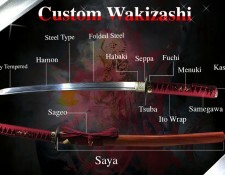 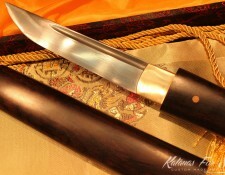 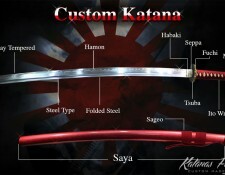 it feature a Choji hamon with double grooved blade. 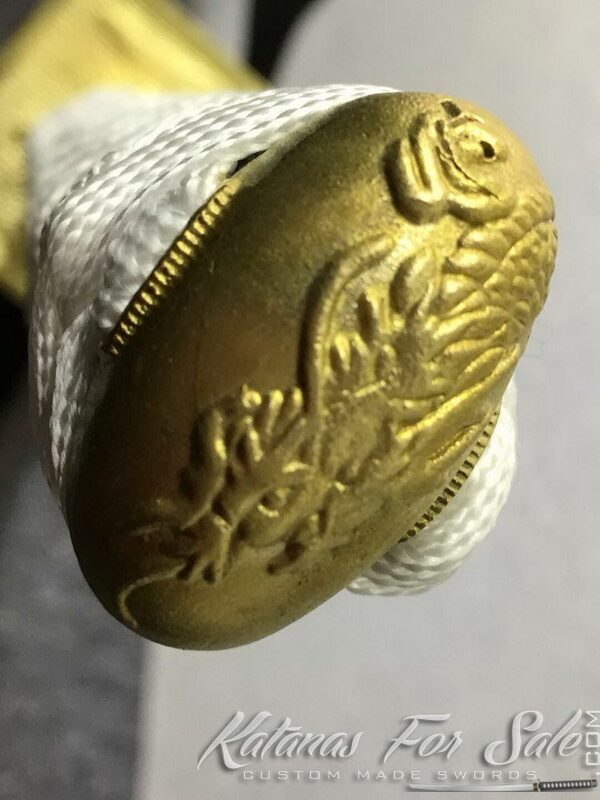 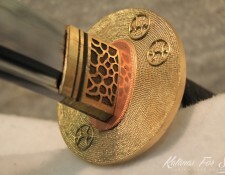 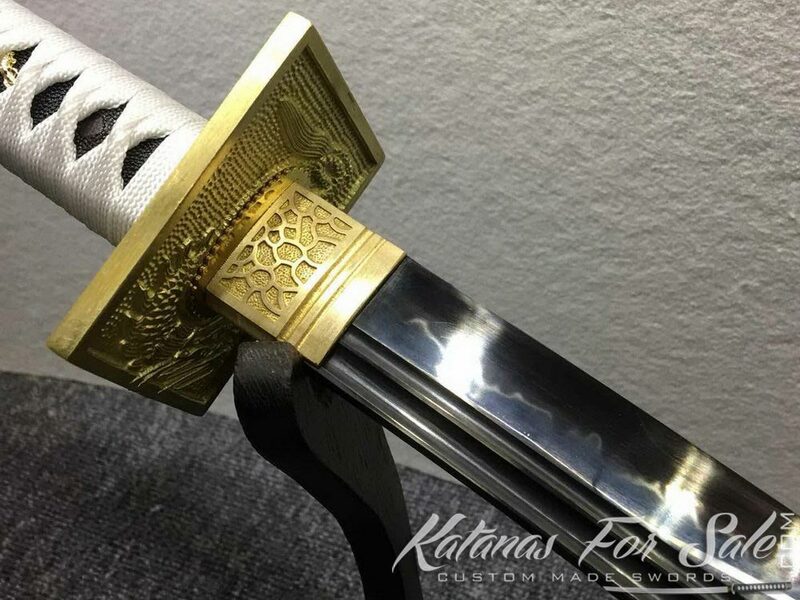 the fittings are made of brass and it has white and grey Saya with engraved dragon. 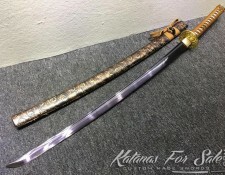 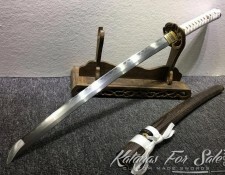 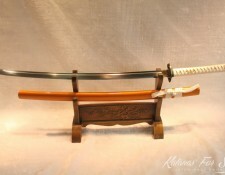 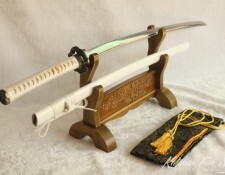 Saya (scabbard): white and grey Saya with engraved dragon.